©2017 Vince’s Saloon (foreground) 19” x 22” and Note Cards (background), 18” x 20”. 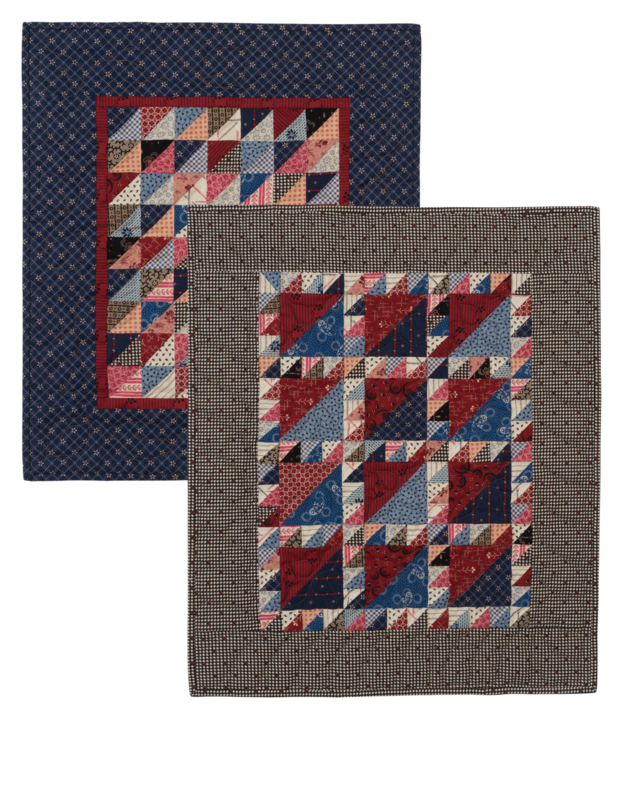 Both of these small patterns are easily made of scraps of red, blue, black, and pink fabrics combined with a variety of light background prints. My phototographer, suggested I name it after him and call it Vince’s Saloon. So cheers, my friend—this one’s for you!